One of the most common question’s we’re asked by professionals is how to create professional quality shop drawings from your CabWriter model. So, we’ve created a four part video tutorial series to teach you how to do just that, which you can link to at the bottom of this article. Unfortunately, neither SketchUp Make, the free version, nor the Pro version of SketchUp offer native tools to create sophisticated shop drawings. All they offer is very limited dimensioning and printing capability; the latter being very finicky to use and without the ability to use a title block. Fortunately, SketchUp provides a companion application called LayOut that comes with the Pro version and is not available with SketchUp Make. 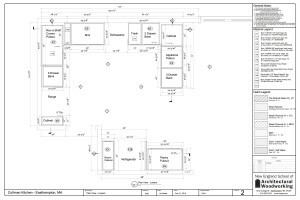 LayOut allows you to link to a SketchUp file, in this case a CabWriter design, and provides the capability to create shop drawings with all of the capability we would expect as professional cabinetmakers. This includes custom title blocks, drawing symbols, dimensioning, hatching, call outs, printing to scale, section details, and much more. As a bonus, you can mix both 2D and 3D views of your project on any page of your drawings, allowing you to communicate your design with the utmost flexibility and clarity. You start by creating scenes of your CabWriter design within the SketchUp environment, which we show you how to do in Part 2 of the tutorial series. A scene is nothing more than a saved view of your drawing which preserves such things as the camera location (which angle you’re viewing from), hidden geometry, active layers, active section planes, etc. 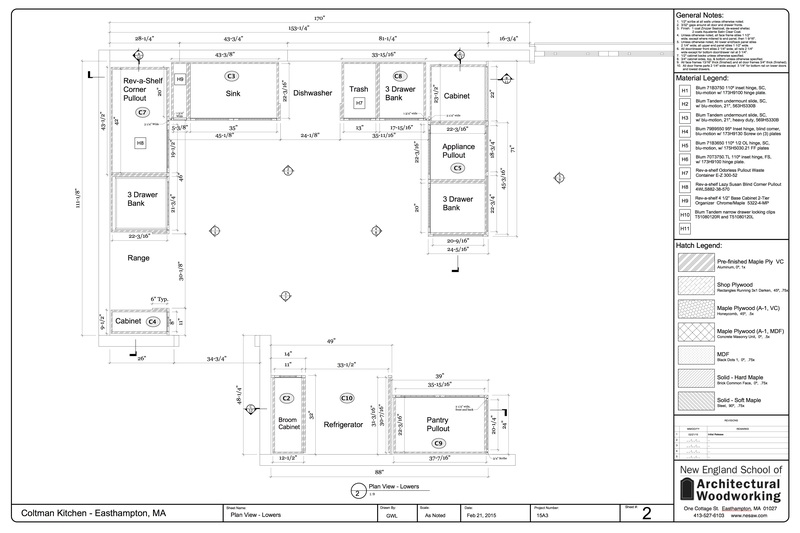 For example, you can create scenes that show sections, elevations, or 3D perspectives of your design. 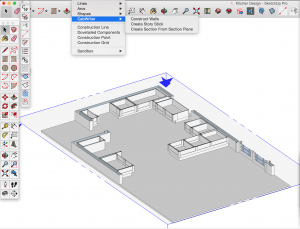 After you link the SketchUp file containing your CabWriter drawing to a new LayOut file, you can choose which scene to place on which page, or place multiple scenes on one page of your shop drawing. After creating a page with a scene, you proceed to add what you need in terms of dimensions, hatching, symbols, etc. One of the advantages of LayOut is that you can create a template with your own personalized title block and program settings, which we show you how to do in Part 3 of the tutorial series. LayOut comes with a very bare bones default template that you can start with, but you can also download my template to use as a starting point if you wish. This is the template I’ve developed for my own business which can be customized to fit your needs. Simply download the file, open it using the LayOut application, customize it, then from the File menu, choose “File->Save As Template”. After that, anytime you create a new file within LayOut, you’ll get the opportunity to choose your template to use as a starting point. Below are the links to the four parts of the video tutorial series. Enjoy! Part 4 – Coming soon! In this video we show you how to make changes to your model in CabWriter and how to re-link and fix up your dimensions and hatches in LayOut to reflect the changes in your model.